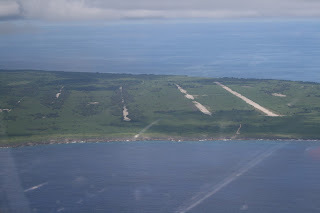 Tinian is a small group of islands in the Philipine Sea. 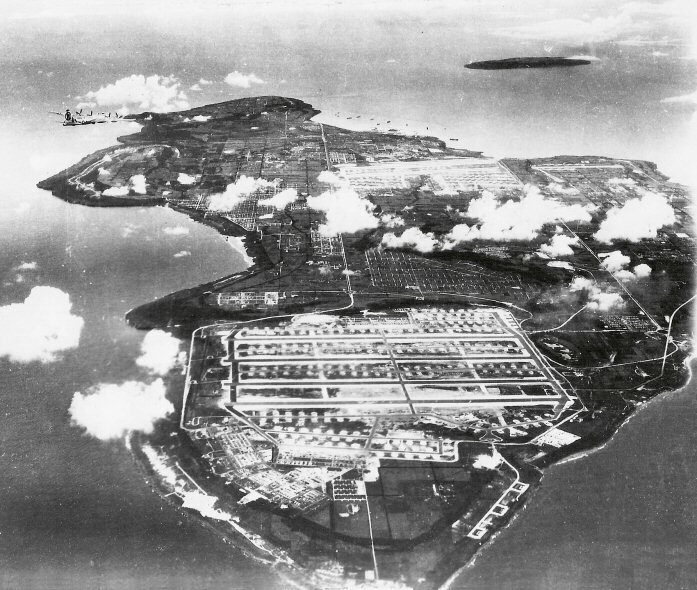 The largest island saw the Seabee's greatest accomplishment and biggest construction project of the war. It’s close proximity to the Japanese mainland made it an important strategic strip of land during World War Two. For nine months in 1945 Tinian saw the most air traffic than any other airport in the world. Before it was in American hands, the Japanese used it as an airbase as well. In 1944 the American’s seized the island in the Battle of Tinian. 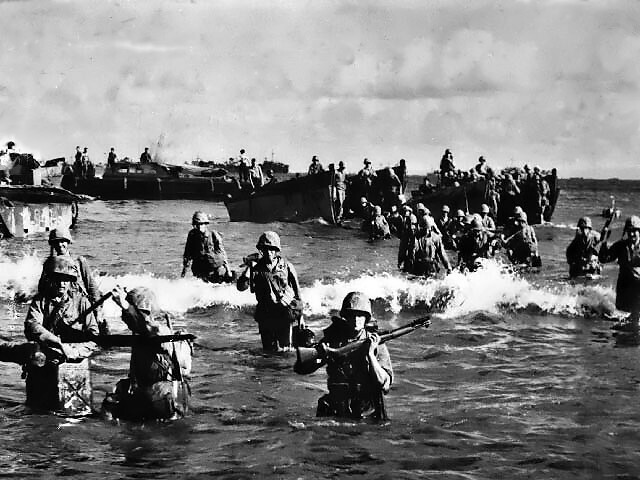 There were large casualties on both sides with the Japanese sustaining the largest number; over eight thousand. It was a must win for both sides, the Americans would gain control of an important piece of land and if the Japanese lost they would give the Americans access to bombing the Japanese mainland. Upon taking control of the island, the Seabees of the 135th United States Naval Construction Battalion set about converting the available land to accomodate the 58th Bombardment Wing along with it's 40 000 support personnel and 50 000 marines. The Japanese had originally constructed two parallel runways on the west side of the island. 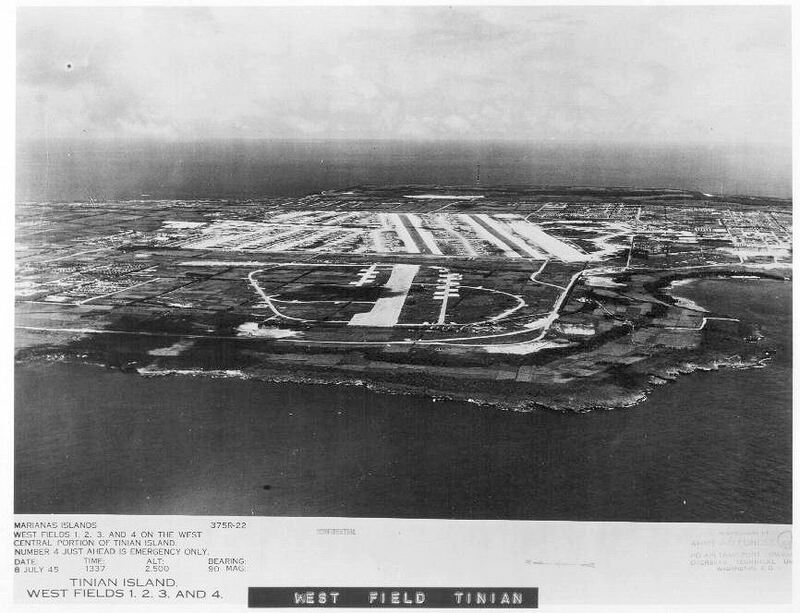 The Seabees added two additional runways and the airfield became known as West Field. To the north, four more runways were constructed to house and launch the new long range B-29 bomber, which would be bombing the mainland. These four runways were 2600 meters, and incredibly they were constructed in less than a year. 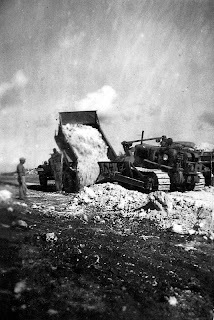 The runways themselves were built out of crushed coral, a readily available resource. The Quonset Hut was used extensively on the island. 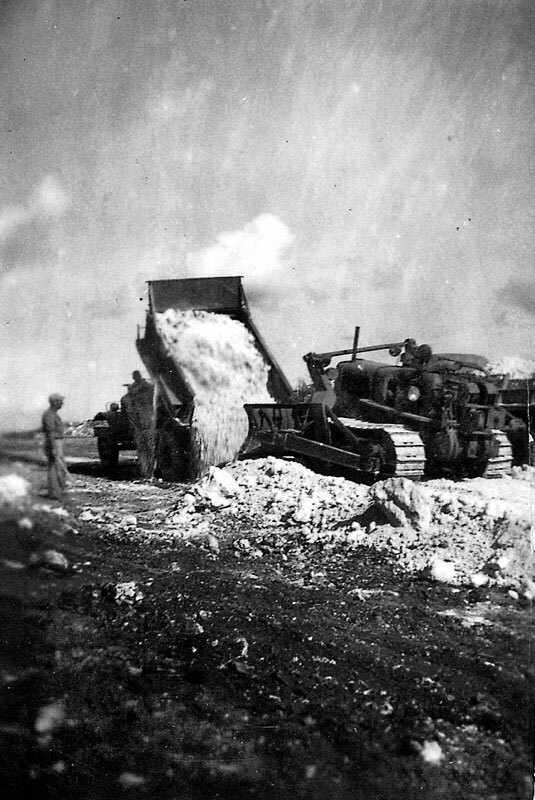 They were a perfect building for the Seabees, as they were easy to transport and to construct. 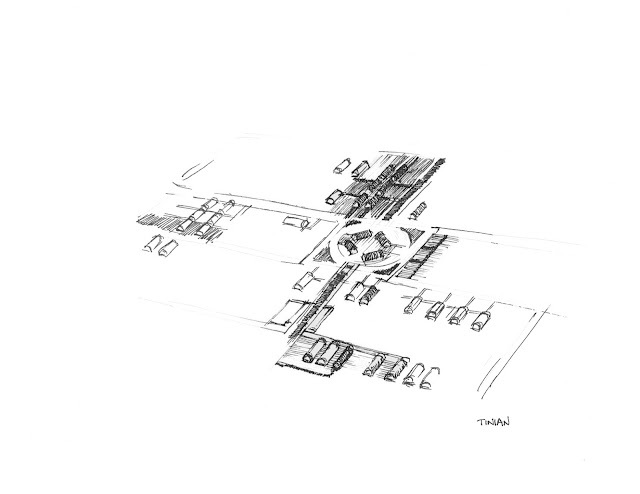 The Quonset Huts were grouped together into mini-cities of barracks, armories, airplane maintenance sheds, messes, chapels and hospitals. The Seabees copied the street organization of Manhattan Island and named the roads on the island after New York City streets. Land was also converted for farming to feed the tens of thousands of men and women that would be living on the island. 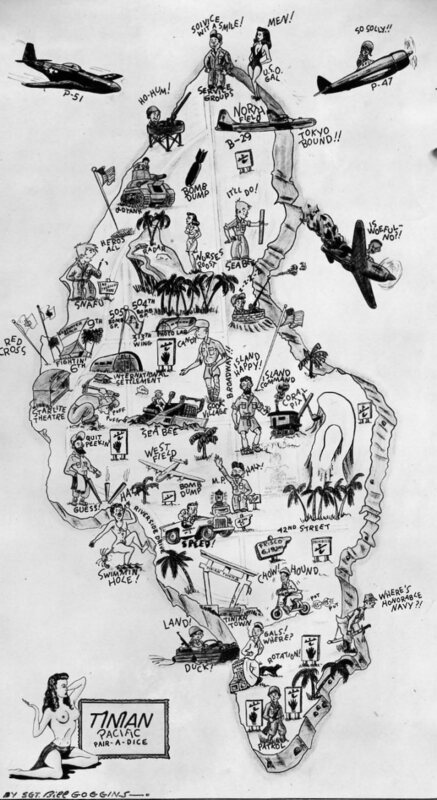 The island became a self-sufficient community. On top of the need to have a high efficiency base layout, the Seabees had to accommodate nearly one thousand B-29s. 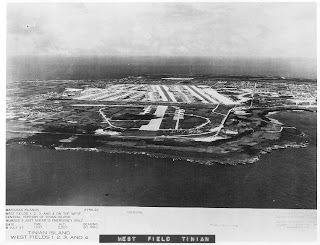 Taxiways and hardstands were laid out effectively; so effectively in fact that more missions were flown out of Tinian than any other airfield during the war.